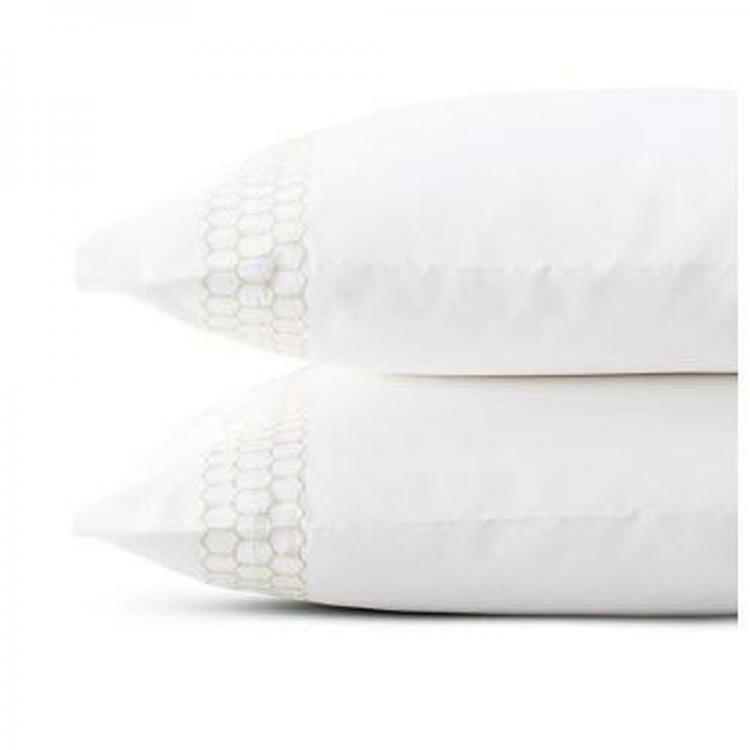 Liana features an embroidered three-layered honeycomb band on our top quality 520 thread count white Ceylon percale fabric. The decorative embroidery is done in your choice of six colors and your monogram will be matched to the color you choose. This luxurious collection is made in the USA of deluxe cotton sheeting woven in India. Liana is worthy of the master bedroom, but can easily be styled for any room. We love this pattern mixed with the monogram in the color thread of trim. 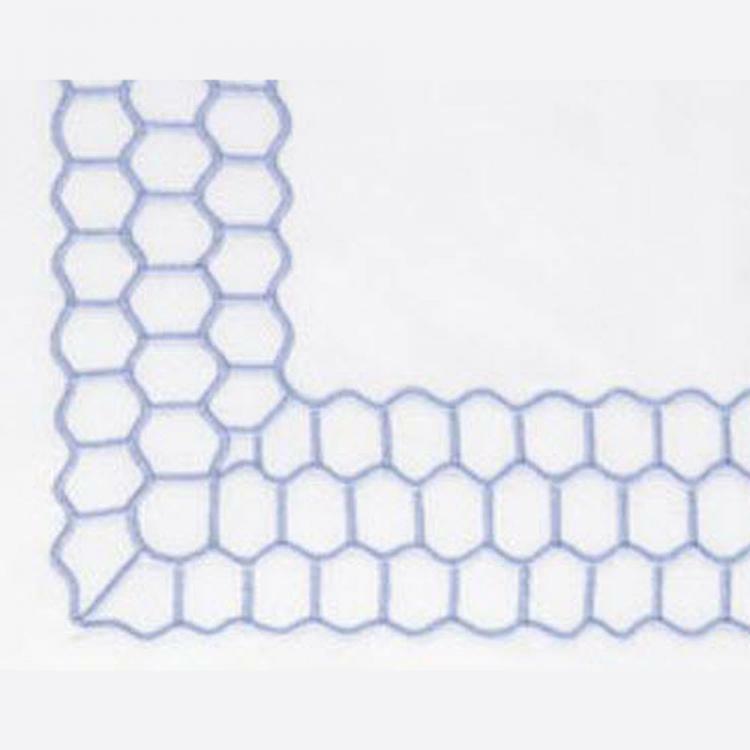 We will match the color in either the applique or the thread color to the trim chosen. if you need help with ordering please give us a call 864-271-3587 and we will walk you through the order.